The Branson B-Series cleaners were superceded by the new Bransonics Cleaners in May of 2013. While the B-Series were great machines, we think the new Branson CPX and M Series units are even better, with more features. This information is here for our many B-Series customers. *NOTE: The new Bransonics cleaners use the same accessories as the old B-Series machines. 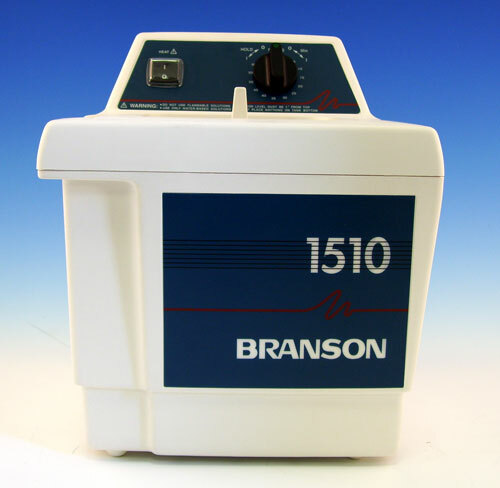 The Branson B1510 has all the same great features as larger ultrasonic cleaners but in a compact size! The digital model (B1510DTH) offers a 1 to 99 minute cycle time and a potential bath temperature of 70°C. The rugged mechanical models (B1510MT / B1510MTH) include timers adjustable up to 60 minutes and a "hold" feature which allows for continuous cleaning. All of our B-Series cleaners have a full line of accessories available, all manufactured by Branson Ultrasonics. 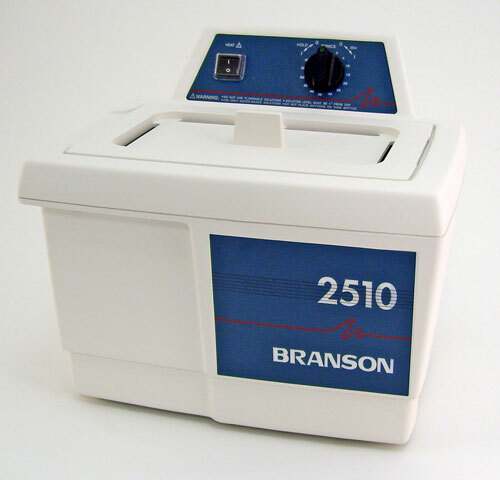 Tank: 6" x 5.5" x 4"
The Branson B2510 comes in three different models ready to meet any small professional ultrasonic cleaning application. Rugged construction and industrial power ensures that the B2510 will get the job done. All of our ultrasonic units have a full line of accessories and ultrasonic cleaning solutions available for purchase, all manufactured by Branson Ultrasonics. 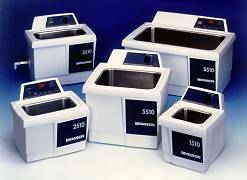 Overall Size: 13.5" x 12" x 11.5"
Tank: 9.5" x 5.5" x 4"
The Branson B3510 cleaner features the integrated drain of a larger tabletop ultrasonic cleaner, allowing for quick drainage and solution replacement. 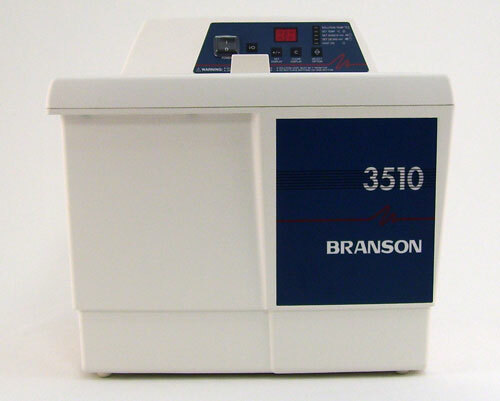 With all the same great features you have come to expect from Branson Ultrasonics, the B3510 will fit any hobbyist or light industrial application. A full line of ultrasonic cleaning solutions and accessories are also available. Overall Size: 16" x 12" x 14.5"
Tank: 11.5" x 6" x 6"
The Branson B5510 is large enough for serious industrial applications such as machine shops and circuit board cleaning. 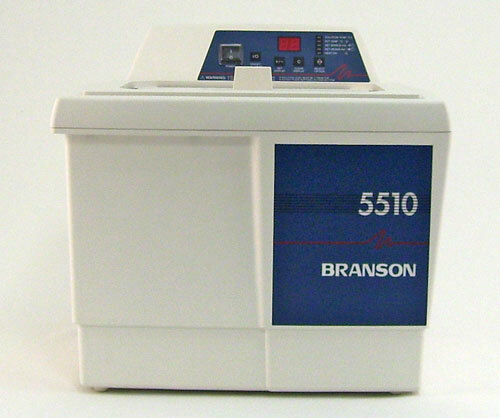 A two and a half gallon tank ensures that there is plenty of room for many different cleaning applications, and like all Branson ultrasonic cleaners the 5510 is available in three different models to meet your ultrasonic cleaning needs, the B5510DTH, MTH, and MT. 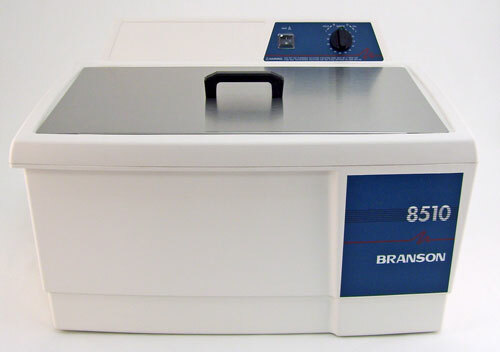 Overall Size:16" x 15.5" x 14.5"
Tank: 11.5" x 9.5" x 6"
The Branson B8510 ultrasonic is our most popular choice for industrial tabletop ultrasonic cleaning applications. A spacious five and a half gallon tank and your choice of three distinct models (B8510MT, B8510MTH, B8510DTH) allows you to pick the Branson cleaner that best fits your application. The 8510 is perfect for machine shops and circuit board cleaning. Machine Size: 24" x 18" x 14.5"